Almost two decades ago Suze and I wrote our first letters to each other. This is how we met. Ever since the first letter I knew I had found my best friend for life. 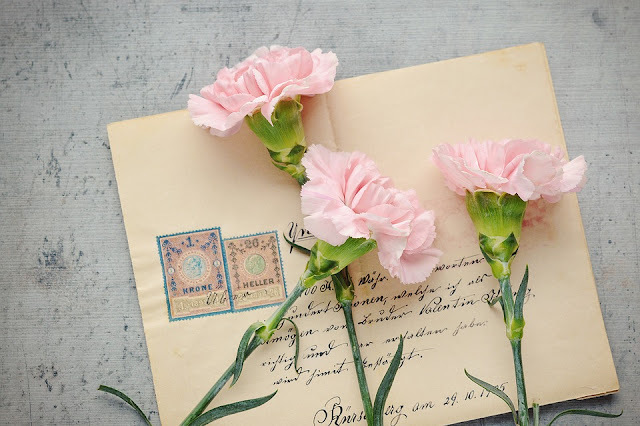 In the following years we wrote many letters to each other, sharing everything that went on in our lives. Throughout these years we've stood side by side and conquered every storm that came our way together. What started out as a friendship, turned into family and I can full-heartedly say that Suze feels like the sister I never had. Not a day goes by that Suze doesn't make me smile or says something sweet that brightens up whatever day I'm having. She has such a big heart and I admire her for everything she does. Just as I looked forward to her letters I'm now checking my phone the moment I wake up in the morning. I always start my day with whatever Suze wrote to me after I went to bed. I'm grateful for every moment we already spent together and for every memory we'll make in the future. - Your complete postal address, country included. - Basic information about yourself, for example your interests or something about your family, pets, etc. I will send everyone who emails me a personal handwritten letter. Hope to talk to you soon! When I was in high school we had a pen pal program and I loved it. I think it's so exciting, tha waiting and such. It's kinda sad how society kinda 'forgot' about this part of communication, my little sister (10 years my junior) for example doesn't even know how to mail a postcard. Anniek, this is such a lovely post! I'm grateful for the dear friends the Lord has given me. A handwritten letter is such a treasure--what a generous and sweet thing to do for us! So sweet, I'm glad you found each other. Such a beautiful post. We're lucky to find friends who become family. What a beautiful post, Anniek! I've wished I have a penpal friend too! I love writing letters and I do so until now. Such a beautiful post, Anniek! Your story is such a delight to read! Such a great story of friendship! I used to pen-pal myself for many years, and people would even swap things in the mail, it was a lot of fun! Sometimes I miss it. This is so lovely. I just thought about it this week, how letters are sort of a lost art. I have boxes and boxes of letters I got since I was 12 and they hold so many life experiences and memories in them. A fantastic and generous offer, I would love to be a part of this, my own hand-writing gets scruffy with the use of the computer, but it is something I don't want to lose. You really did win the friendship lottery with Suze as did she with you. I love writing and receiving letters from my penpals. I have a few that I met through a penpal start up I found on Twitter. I hope you receive letters back from the ones you write too. It's a lovely idea to write to all who email you. I imagine you will be writing a lot of letters soon. I really like this post. I loved sending cards, letters etc in the mail instead of just sending emails as we have all just became to do most often. This is wonderful. Letter writing is definitely out of style and I actually miss it, my grandmother who passed a little over a year ago is the only person I have exchanged handwritten letters with for a long time now. It's a great shame that the art of letter writing is dying out. Nothing can beat that feeling of opening an envelope & reading the words a loved one has sent you, especially if you're far from home. I do love to get a letter in the post. May God bless your friendship! It is wonderful to have a friendship so special. I have often wondered about friends when I was younger, but seem to have no interest in rekindling. Writing is a nice way to express your thoughts, I would like to write, but pick up pen and paper and not much comes out!